Review: Adaline Bowman stopped ageing when she was involved in a car crash in the 1930’s. She remained living at the age of 29 for almost eight decades and has lived alone her whole life. Adeline meets a man who might change her life forever. A very enjoyable soppy drama. 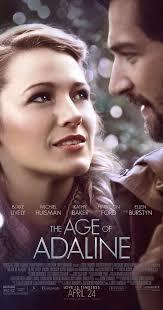 Fantastic performances from all of the cast especially Blake Lively and Harrison Ford. I found Harrison Ford’s character very convincing. Very well directed and also thought that they did a fantastic job on the screenplay. This film reminded me a bit of The Time Traveler’s Wife. This film has made me realize that getting older isn’t such a bad thing and that staying at 29 years is not all it’s cracked up to be. Natalie Portman and Katherine Heigl were both offered the role of Adaline but turned it down. For people who have watched the film did you know that the place “Nob Hill” really does exist in San Francisco?